The Wellington Mountain Bike Club has a new President, John Baddiley. Voted in at our AGM this week, John is a long standing committee member and has been involved with the club for well over ten years and is heavily involved in the Mountain Bike community both in Wellington and across the country. I have complete confidence that John will carry on the success and growth of the Wellington Mountain Bike Club and encourage you to show your support to John as well. 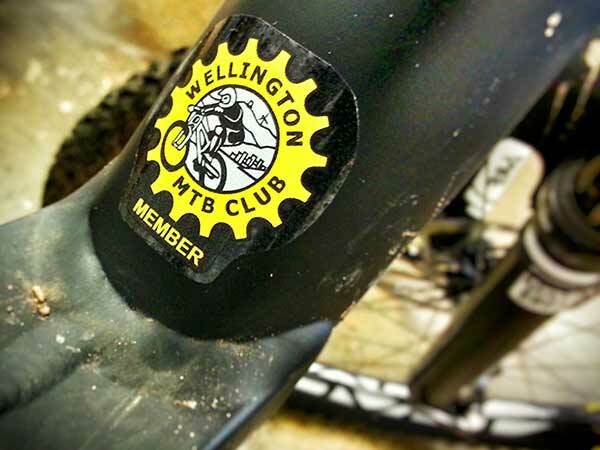 This year’s Wellington Mountain Bike Club AGM will see a big change for the management of the club. Our longest standing and current President, Secretary and Events Manager, (Dave Preece, Russel Garlick and John Whale), will be standing down from their respective roles. Dave, Russel and John leave behind a big legacy as they have been involved with all aspects of the club. The President is the principal leader of the Wellington Mountain Bike Club and has an overall responsibility to ensure the club functions are met. The Secretary is primarily responsible for ensuring that all club members are informed of club activities. This includes taking the minutes at meetings and producing the club newsletter. The club needs more people to help organise and run these events. With more people involved, we can divvy up smaller tasks to make sure everything runs smoothly for organisers and participants. The current committee is proposing to splitting the events role into a number of roles to reduce the workload. The committee is seeking people to fill these new roles that will be voted on at the AGM in August. Nominations to secretary@wmtbc.org.nz. Our membership loves shuttle days, and frankly we have this pretty much down pat. The online system handles entries and registrations. What we need are people who are happy to advertise the shuttle days, book the trailers and vans, and organise drivers. This could be a single person, or done by a group. Once again all the contacts and templates are in place and are ready to be used, and improved upon if so desired. Mt Vic Super D is one of our marquee events. It is a big job to organise, over a period of months leading up to the event. The complex nature of Mt Vic, with multiple parties and stakeholders being involved means there are additional notifications and discussions to be had that we simply don’t have with our other venues. Because of this, we are suggesting breaking this out of the Events Manager responsibility, and having one person whose job it is to get it across the line. The work needs to start early in the Spring with coordinating road closures or traffic control permits. Once again we have event templates and checklists, it is a matter of having someone with the time to execute. Over the last 5 years we have been working to find a suitable venue to build a new Downhill race track and race venue. We have been working with Mana Cycle Group in an effort to make this happen in Colonial Knob (Porirua). With club President Dave stepping down, we’re seeking fresh blood to pick up where he left off driving this important project. There is a track marked out, we have World Cup talent leading the design, and we have endless offers of help to build the track. Problem being - the whole project needs to get across the line with the local council before any spade hits dirt. A draft proposal has already been prepared, but needs revising. The project also requires earthworks to be carried out for shuttle turnaround. For this to happen, Porirua City Council requires the appropriate paperwork in order to give resource consent. We need a Civil Engineering company to draft up the appropriate documents for the earthworks. We then need to find the money to carry out the earthworks (est. $15-40k), and that is all before spending a cent on the track itself. Once the proposal has been completed and submitted to Porirua City Council, the Mana Cycle Group then plan to lobby (with our help) to upgrade their park consent to allow greater vehicle access for shuttle operations. Without this, it will be simply impossible to run a national event there. While the project lead role has been filled by Dave to date, that doesn’t necessarily mean it will be the President’s responsibility going forward. We’re simply looking for the most committed and capable candidate/s to drive the project as their specific role within the club. Currently done by the Secretary, on an irregular basis. The committee currently relies heavily on Facebook for updates, but we are aware that we have a large number of members who don't use this medium. We would also like to engage with our membership on a regular basis. Would require capturing the current news from the monthly committee meeting to be shared with the membership. Currently done by the President and Secretary. This is a new role to ensure that content on the site is current and up to date. A new role. The current committee would like to engage more with the bike shops in the region to help promote membership and events. Open Spaces Access Plan - The Tracks Plan - Consultation. The Wellington City Council is currently seeking feedback on the Open Spaces Access Plan (aka The Tracks Plan). The plan is what the Council Officers will use as their guide when it comes to managing the track network for the next 10 years. There are a lot of positives in this plan for mountain biking. There are some good new track initiatives, an acknowledgement of the importance and need to engage with volunteer trail builders and an extension of MTB priority tracks into the Town Belt, outside of Makara Peak. The club is concerned about moving the decision making around new tracks from Council Officers to Councilors, as we don't want to see tracks become a political football. We'd prefer to see a framework within the plan that defines how this decision making is made, that is ratified by the Councilors, and the day to day detail left to Council Officers. We would also like to some more clarity around assessments for new tracks. The plan has some good guidelines and principles, and some that are harder to work with (e.g opening up the canopy). We would like to more clarity around the assessment process - who is making the decisions, how can the competing objectives of all the council plans of access and protecting biodiversity be resolved in practice. E-Bikes are an issue that are likely to divide the riding community. As such the Club is neutral towards them, so need for nor against. However we agree with the plan for limited access on a trial basis so that some research can be done the impact of this type of riding with other trail users. Missing from the plan is any kind of plan for the Council to engage about changing the status of Te Ahumairangi /Tinakori Hill. The club is calling for an open consultation on opening up at least some of the advanced trails for MTB use. Following the event, we did receive some additional clarification from Council Officers that is included in this post. Submissions by individuals in Council consultations are extremely valuable. The Club will be making a full submission on behalf of our members, but we encourage all members and the wider community to do at least a written submission. If you feel more strongly about a specific issue than the club does, then make that known to the Council. Whilst we have had some small changes made to plan mid term (for example opening up Polhill to MTB), largely the Council and Officers will wait until the plans come up for renewal. The best way to make a submission is to use the online form at. You can fill it out in 5-10 minutes. Once you have done it, encourage your riding mates to do so as well. Written submissions need to be in by 5pm Wednesday 13 July. You don't have to answer every question. Just the ones which you have an opinion on. There is a question at the end of the form that you can use to raise ideas that have not been mentioned in the form. The Te Ahumairangi consultation would be something to talk about here. Keep it short. Use bullet points. These will make it easier to read. Just state what you would like to see in the plan, with a brief reason why. Use your own words. If we get a lot of people copy and pasting what the club says, then those words will have less meaning. 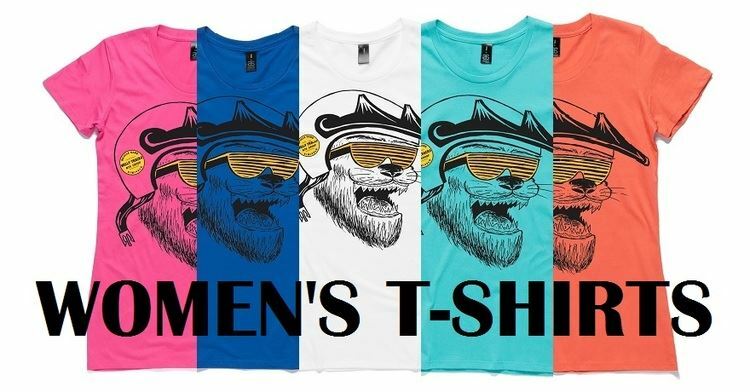 In the worst case, they would all get counted as one submission. If you agree with the club, take what we are saying, and try and put it into your own words. Have A Strong Opinion On A Topic? Make An Oral Submission. The Council appears to place a high value on oral submissions. Committing to turn up in person has a big impact on them. Councilors respect when an individual takes time out of their day to front up. Individuals typically get 5 minutes to speak during an oral submission. Organisations like the club, typically get 10 minutes. Oral submissions will be scheduled for the first week of August. Do state how important the tracks are to you personally. If you use them for walking, running, dog walking, or any other use, let them know. Get them to see you as a trail user, rather than just a biker. If access to MTB tracks is part of the reason why you are in Wellington, then say that as well. Acknowledge that this is a good plan for MTB. Because it is. Riding bikes in the town belt is great way of meeting the Council's stated goals of engaging with the local environment and driving healthier communities. Stick to your main point. Keep it to the one or two main points that you want to make. Don't try to hit half a dozen topics, you won't have time. This one is up to you, but leave the mud slinging to the haters. The club has had greater success with taking an inclusive, reasoned and pragmatic approach. You may get scheduled after a hater. We'd suggest that you let them look like an irrational fool rather than attacking them. But it is your submission. Councilors like to ask questions. Some of these will be easy, and support your stance (some of the Councilors are very pro mountain biking). Others won't be. So be ready for that. If they ask you something obscure, then it is ok to say I don't know, or I can't answer that, and use it as an opportunity to make your point again. The Club Committee will make a submission on behalf of the club. The content of this submission is based on the polling of the committee and the reading of the community, in particular club members, by the committee. Where is says "the club" below, please read it as "the committee". The Council is proposing to change a number of tracks in the Town Belt to MTB Priority. This means the tracks are still dual use, but instead of Walkers having priority, this would shift to Riders. The Club expects that this will require some education of the general public and some good sign-age so that all users are aware of the status of a particular track. By and large, it makes sense which tracks have been nominated as rider priority. They are mainly tracks that were built by riders for descending. A notable exception that the club would like to see added to this list is Serendipity in Polhill. This is a track that has been designed as a descending MTB track, and there is a good alternative in the same area for use by other trail users. The plan identifies a number of tracks as priorities for development that would be longer half day to multi day rides in the region. This includes more work on the Skyline track and a new Makara / South Coast loop that would take users from Makara Beach, around the South Coast and wind farm, to link up at Red Rocks. The proposal is for this track to be a multi day tramp. The club hopes that this track will be built to an Intermdiate / Advanced MTB standard, along the lines of a Queen Charlotte or Heaphy. This type of track would be a major asset to sit along side the generally shorter rides. The club is supportive of adding paper roads to the network. This will help make it clearer that these are open for use by riders and will again assist with planning longer rides in the region. The club is neither for or against Ebikes. This is a divisive issue for our community. As a new technology, there is little genuine research on to the impact of EBikes. IMBA has posted one report on the physical impact to trails (finding was that there was no observed difference between ebikes and bikes). The club is supportive of the council's plan for restricted access within the track network. We are happy to see that the Council has kept this to either 4wd tracks for climbing and to descending trails, where the imapct of the speed differential between ebikes and normal riders is nullified. We understand and appreciate that the council is trying to open up off road commuter routes for Ebikes and see this as a positive initiative. Our preference would be to see that Ebike definition is refined to electronic pedal assist, rather than electronic drive independent of pedaling for any bike that is using a track, as opposed to a 4wd track. THE "Needs A Little Work"
It is great to see that the council is looking to invest in making it easier to find tracks and to make connections between the various areas. However the Council seems to be focusing on digital wayfinding. The club thinks that this money would be better spent on physical signage. Digital wayfinding is already taken care of by crowd sourced initiatives such as Trailforks.com. We have seen how the roll out of new signs at Makara Peak has improved the user experience and we would like to see better signage in the Town Belt. We appreciate that signage is more expensive to maintain, but our stance is that it is more useful. THE "We Are Concerned About"
The club is supportive of having a clear framework for assessing new track works, for either brand new tracks or significant reworks. The club is also supportive of the goals of Our Natural Capital Plan. Mountain bikers enjoy recreating in the bush because it is a green space, this is why our club includes planting in our trail building activities, and works closely with ecology groups in our project areas. Section 5.4 attempts to document how these decisions will be made in principle. We want to have more clarity around how the assessment will be run in practice to ensure that the biodiversity values and recreation values are balanced. who will make the assessments? Council officers or 3rd parties? how will biodiversity values be balanced with recreation and community engagement values? who makes the final decision? Council officers? Councillors? In section 5.4, plan states that tracks "keep the tree canopy intact and not create canopy gaps - this can be accomplished through good track design". The club would like to see this wording changed to reflect that track development "keep the tree canopy intact as much as practicable, and should minimse canopy gaps". The Our Natural Spaces plan already outlines management for canopy gaps. Section 11.24 notes these as high priority areas for revegetation. The same plan called for "evidence based guidelines for trail development" (Implementation Plan Section 1. Protect 1.4.4) to be developed. We want to know if these assessment criteria are the result of these evidence based guidelines. In both Polhill and Miramar, our experience has been that canopy gaps in the regenerating native forest created track building tend to close in relatively quickly (a few years in the case of the Miramar Trail). These canopy gaps also provide light wells to assist with the planting and growth of our species that can be pushed out by the monoculture of Mahoe and 5 Finger in many areas. In short, we want to see and be involved with the evidence based guidelines for trail development. We believe this issue of canopy gaps is overstated and would like to see the evidence for this track assessment criteria. 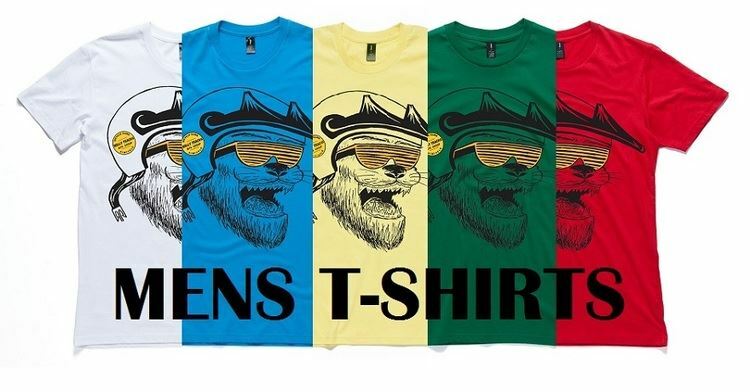 In the plan, where it reads "Council", this means the Mayor and Councillors. Council Officers are those who work for the Council itself, like the Park Rangers and Reserves Team. The Club has a long standing effective relationship with Council Officers. This relationship is works because the Council Officers base their decision making and advice on the content of these plans. The club accepts that some decisions should be at the Council level. For example we can appreciate that high value spend and issues such as opening up access in closed areas require community consultation and decision making facilitated by the elected officials. However we are concerned that the bulk of day to day decision making around new volunteer built and maintained tracks is being taken off the Officers and put in the hands of Council. The club believes that the Council should focus on creating and approving plans that have clear guidelines around decision making for Council Officers, rather than getting bogged down in day to day operational decisions. Te Ahumairangi is currently closed to riding, with the exception of a small number of tracks that have limited value to riders. In particular is the ridgeline track that descends down from the top of the hill to the Scout Hall. These tracks are essentially 4wd tracks, and represent the old school of mountain biking. They tend to be steep, fast, and dangerous in that they are also used by other trail users to climb to the top of the hill. In previous consultations (Capital Spaces and Town Belt Management Plan), the Club has called for a consultation to be run on Te Ahumairangi. The hill represents a large area containing significant exotic and regrowth native bush, which according to the Council's own plans, makes it a candidate for track development as opposed to remanent native forest. The area is not designated as an ecologically significant site in the current "Our Natural Capital" plan. The area to the north of the CBD lacks the short rides close to communities, which is another stated goal of this Council Plan. The club is not proposing to turn the area into a mountain bike park. What we would like to see is the area opened up to riding as per other areas of the Town Belt, such as Karori, Wright's Hill, Polhill, Mt Albert, Mt Victoria and Cenntinal Reserve in Miramar. The council's existing Town Belt management plans contains the needed provisions to manage trail building, as a restricted activity. As we have shown with our recent work on Mt Victoria, we believe that we can address any perceived or actual concerns about trail user conflict by making changes where MTB trails intersect and cross existing walking tracks. At the least we would like to see the Council open up access to some existing tracks that the club has identifed low impact to other trail users. We would encourage to Council to start a consultation process on Te Ahumairangi and give the entire community the oppurtunity to contribute to this discussion. The implementation plan provides no mention, either in planning or implementation, for a MTB priority track as an alternative to Upper Transient. The Polhill track network, built by one of the club's projects, the Brooklyn Trail Builders, is one of the major successes in the track network. 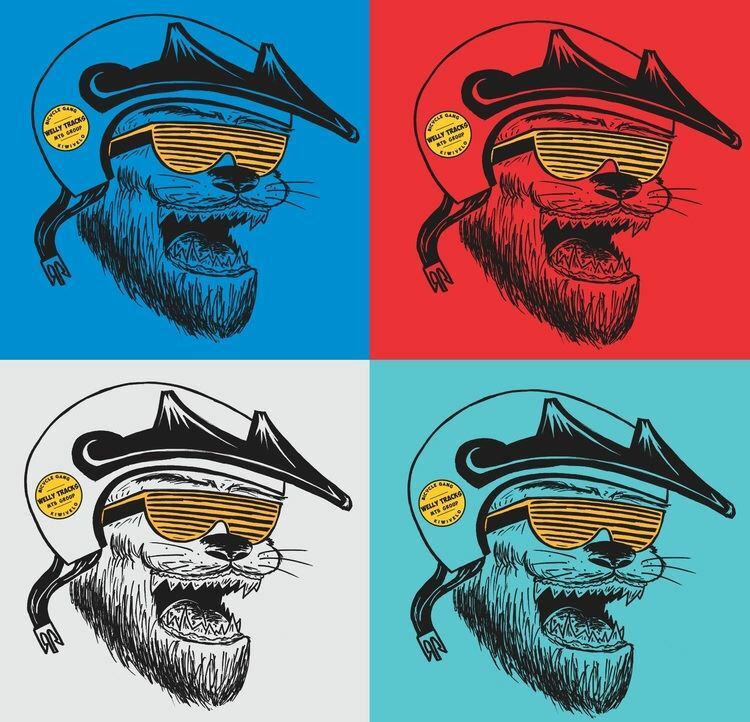 We expect the popularity of these tracks only to increase over time. We are appreciative that Council approved the building of Clinical as another route into the area and to take pressure off Transient. The Club has always been supportive of a harder descending route to mirror Transient. The Serendipity track has successfuly diverted the bulk of descending riders off lower Transient. We belive that a similar trail is required for Upper Transient from the Ashton Fitchett intersection. More members helps us when making our own submissions. It gives them more weight. If you are a member, make sure you renew. This is your chance to have your say on tracks, take it! We have the announcement surrounding the future of the Mt Vic Super D.
Since it’s conception in 2011, this event has become a Wellington staple. So, it is with great regret that we have decided to pull the pin for 2016. Running large scale events on Mt Victoria was always very difficult due largely to it being a huge logistical exercise, its central location and increasing concerns from the public. Instead, we are working with the lads at Dirt Merchants to make this year's Polhill Enduro epic. The kids’ Mini D, previously part of the Mt Vic event, will shift to Polhill. More details in the coming weeks. We'd like to thank everyone for supporting the Mt Vic Super D over the years. Without the support of volunteers and local businesses, these events can't happen. So, cheers! We have been notified that Wellington City Council (WCC) will be closing some unsanctioned and illegal trails. Does this mean the end for those trails? Maybe not. We're waiting for the press release from the WCC before we put out a more detailed response on a per track / area basis. We’ll keep you up to date. It was great to see so many who are passionate about tracks and riding, willing to give up their Wednesday evening to come to our committee meeting last week. From the Club’s point of view, we have been working with the Council on Te Ahumairangi (Tinakori) for a number of years. With the track closures we are going to ramp up these efforts. Just as with other trail areas (Mt Vic Trails, Miramar, Polhill etc. ), there will be a new sub-group formed with a page on Facebook. Our point man on this is initiative is Jono Baddiley who has been involved in these discussions for a number of years. WHAT'S THE CLUB'S ROLE IN ALL THIS? Over the last few years, Welly MTB Club has being doing a lot to advocate for all riders in the Wellington area, not just gravity riders, not just beginner-intermediate riders either – but all riders. We are passionate about riding and building trails. 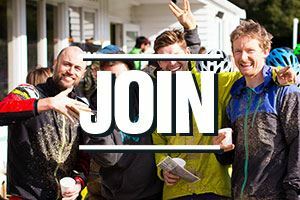 We are also an open and accepting bunch, if you share a passion for riding, trails, and Wellington, then you will find a good fit with us. The Club respects, and works within the plans and policies of the various land managers we work with. Whether it be WCC, Porirua City Council, Upper Hutt City Council, or private land owners. With council lands, we accept that there are plans and policies that guide, and sometimes restrict our work. However, they are written in ink - not stone. So that means we can challenge them and advocate for them to be changed and updated. The Club has done significant work in the last 3 years working within these frameworks to both secure access and funding, and then open up areas for riding for both Club members and non-members alike. This requires research, time, relationship building, and patience. We engage not only with Council, but also other interested parties to seek alignment, develop relationships and resolve any issues, whether they be perceived or real. We can point to the fantastic work done by the Brooklyn Trail Builders in the Polhill area, and Miramar Track Project. Both these groups have engaged with schools, local ecological groups and other trail users like running groups and this contributes to the overall success of these projects. We can also point to the work that has started and is ongoing on Mt Vic to engage with Rotary on their planting efforts and other stakeholders to reduce track user conflict. With respect to these trail closures, in order to enact change, we do it by following the framework laid out by the land manager (WCC), and always aiming to strike a balance with the needs of Wellington’s mountain biking community. All we ask in return, is that you respect our time as volunteers. If you want to discuss something with the Club, then please get it added to our committee meeting agenda. Committee meetings are the 2nd Wednesday of the month, at 7pm. The location changes from time to time. Please email secretary@wmtbc.org.nz to add items to the agenda. Everyone passionate about riding, trails, and racing, who is prepared to engage and help out, is welcome at meetings. Passion is great, ranting is not. Engaging with land managers and other stakeholders is how we get the ball rolling. Get engaged with other stakeholders, try to understand their points of view, go to their planting days and community meetings. Join the sub-projects (look out to the Tinakori / Te Ahumairangi group coming soon). Join the Club. More numbers for us helps us when we are advocating on your behalf. Plans and Policies are just documents. You can lobby and campaign for them to be changed. Above all, respect the Land Manager's process. If that means no digging and no riding in an area, then please respect this. Disrespecting the process makes it harder for those advocating on your behalf. The Club will assist in any way it can using our knowledge of the process and relationships with Council, but riding and building in these areas undercuts any effort to open them up to riding. Updated in 2013, the club successfully lobbied for greater access and recognition of mountain biking. Updated in 2008, this plan is not currently scheduled for review or update. The notable error in this document is Polhill Reserve, which is now open for riding and a good example of how things can change. It's the 1st day of July – that means it's a new membership year. Brand new membership stickers are on there way to those who have already renewed their membership. Not a member yet or need to renew your membership? Head to the Join Us page. Wellington to get new BMX facility. The WMTBC wishes to congratulate Capital BMX Club. They have recently received $80,000 from the Wellington City Council to help them complete the first stage of their new UCI level BMX track at Ian Galloway Park, Karori. In early September, Empire of Dirt (the Rotorua Crankworx dirt engineers) will commence construction of the track – which will be the biggest in the lower North Island. 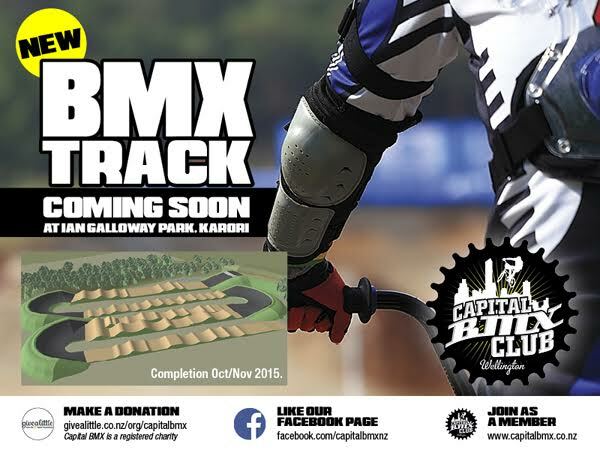 The track will be a great facility for the Wellington community so please give your support to Capital BMX. 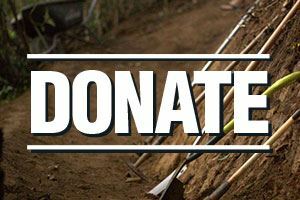 You can join for free until the track is opened in December and by visiting their Give-a-Little fundraising page -https://givealittle.co.nz/org/capitalbmx. Capital BMX is a registered charity and you can claim a refundable tax credit of 33% for any donation made to the club over $5. Join as a foundation member – $150 per person or $200 per family (up to three people) – must be paid by 31 August 2015, and your membership ends 31 August 2019. Your support helps no matter how big or small. Long Gully - the end of an era. By now many of you will have heard that changes are on the horizon at Long Gully. We can now confirm that the official word from the landowners is that going forward, there will be no access for mountain bikes at Long Gully. It is certainly a very sad time for the Club, its members, and the wider mountain biking community. Steve Watson, owner of Long Gully Station - the man who we’ve worked closely with over the years maintaining access to the land - has also expressed his sadness that this era has come to an end. Ownership and management of the land our tracks are on has passed on to Steve’s children, who have other plans for the land. This was always a possibility and due to the nature of the Cub’s agreement with the Watson family, we’ve always accepted that this time may come. This means that as of today - access to the Long Gully trails is completely off limits. This means no riding, and no shuttling. This applies to our entire membership, and all members of the public. 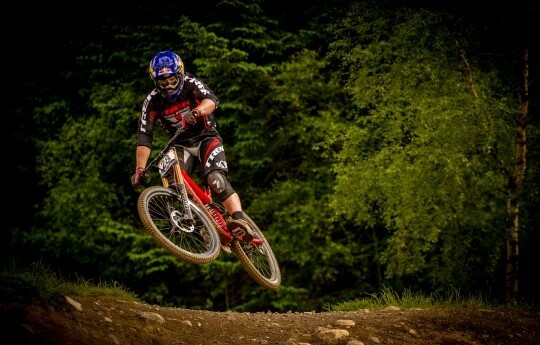 The WMTBC have been working with Councils and other Mountain Bike groups to determine the best location for a brand new national level DH race track & MTB event venue. Every effort is being made to get this project moving quickly, but as they say - Rome wasn’t built in a day. We will keep our membership up to date with this project as it progresses. In the meantime - The Club will maintain its commitments to our existing DH trails at Karori Park, Maidstone & Prince of Wales Park. We also encourage you to continue to enjoy the abundance of incredible riding the Wellington Region has to offer, and keep your ear to the ground for upcoming events. As a last harrar - we are organising a final shuttle day to give the Long Gully the send off it deserves. We will let you know the details as soon as they are finalised. 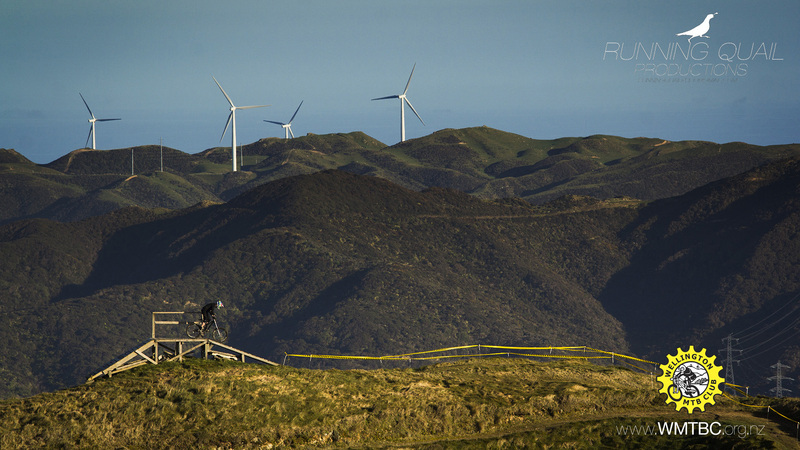 NZ MTB Nationals entry deadline is 6 February! 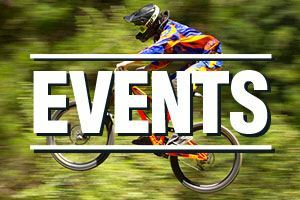 Have you entered the MTB Nationals? The entry deadline is 6 February! Riders are reminded that the entry deadline for the 2015 MTB National Championships is 5:00pm Friday, 6 February. It's important that you meet this deadline as late entries will NOT be accepted. This is due to the high volume of late and on the day entries in previous years, meaning commissaires are unable to properly seed some riders, leading to rider complaints. The event is once again being held in Rotorua, 14-15 February and attracts New Zealand’s top downhill and cross country riders. Please note: Any athletes who are seeking selection for the New Zealand MTB team to race at the 2015 World Mountain Bike Championships, or discretionary selection to World Cups (e.g. when insufficient UCI points are held by individuals), must race the NZ MTB National Championships. It is a compulsory selection race. Please view the 2015 MTB Team Selection Regulations contained here. Of particular importance are the eligibility clauses - please read them thoroughly. Athletes not meeting all eligibility requirements, will not be considered for selection. Brook MacDonald in action - credit Trek World Racing.